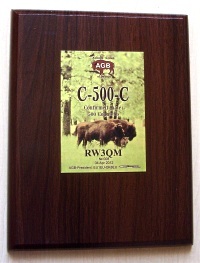 Trophy C-500-C most popular in series C..C last year. Dobroe utro dorogoi Igor, have a lot of thanks for the trophies. On the homepage of Rosel we show to the visitors the trophy ( www.dl3kwr.de rubric contests => http://www.dl3kwr.de/Contest-e.htm ). Also in QRZ.com ( http://www.qrz.com/db/ ) DL3KWR is uploaded the trophy. 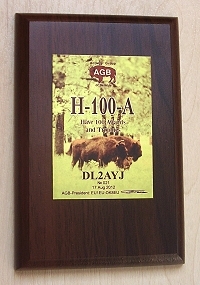 Trophy H-100-A most popular in series H..A last year. Good afternoon, Igor! Today I received PX-BELARUS-Trophy. I thank you for it. It is pleasantly surprised that I have Trophy with number 2. Everything is remarkable. Once again many thanks. 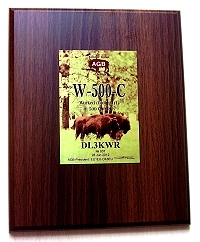 Trophy W-500-C most popular in series Contesting last year.